Tokai Forum - a subsidiary of TokaiRegistry.com :: View topic - Small little detail (or fail in factory) on my Tokai!? Small little detail (or fail in factory) on my Tokai!? Posted: Sun Nov 19, 2017 8:19 am Post subject: Small little detail (or fail in factory) on my Tokai!? Hello everyone! 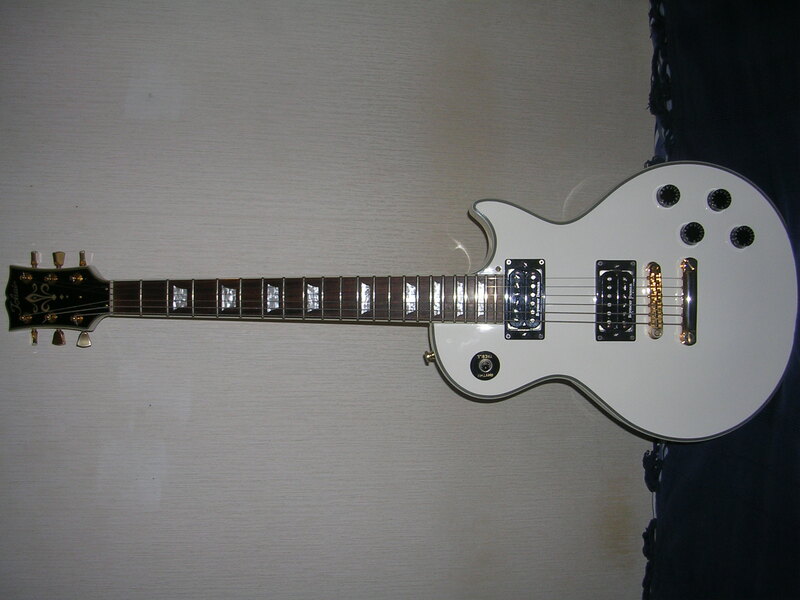 I have white Tokai "custom" type love rock, which is made in korea and there`s no serial number anywhere. Also, i dont know exactly when it was built but i bought it in 2005 and it was new. If you look at closer that neck, you can see it`s not a "custom type" looking neck and i realised it a few years ago and i think it`s little bit weird. Is it somekind of fail in factory or what?? Do guys have similar Tokai instruments or have you ever seen this kind of copys before? Can't say as i've seen a custom without block inlays sorry. What colour is the back of the neck?